Since it started in 1954, the RAJA Group has worked hard to promote the values it was founded upon; respect, solidarity and professional equality. In this article we’ll be looking at these values and how they’ve been continued through to 2016, focusing on professional equality. We’ll be exploring the work of the RAJA Group’s dedicated charity, the RAJA-Danièle Marcovici Foundation, and at the wider issue of gender equality across UK businesses. We’ve also spoken to Women in Packaging for their views on this topic, a leading UK group that works to support and recognise female employees in the UK packaging industry. Rajapack was launched as ‘Cartons RAJA’ by Rachel Marcovici and her friend Janine Rocher, and began with one shop selling recycled boxes. The company was a success, and as a result of Rachel’s entrepreneurial spirit it had a strong impact in a male-dominated environment. Danièle Kapel‐Marcovici, daughter of Rachel and the current RAJA Group CEO, took control of the company in 1982 and since then has continued to champion gender equality and support for women worldwide, building on the founding principles of Cartons RAJA. In 2006 Daniele Kapel-Marcovici established her own charity, the RAJA-Danièle Marcovici Foundation, to further support women and campaign for equality all over the globe. Funded by the RAJA Group, the Foundation supports community projects through education and training, professional integration and support, campaigning against violence and defending women’s rights. The Foundation also works to raise awareness and draw attention to the violence and discrimination suffered by women. Operating in over 47 countries, since 2006 the foundation has supported over 342 programmes and raised over €4,300,000 for projects that support women in France and worldwide, in countries such as India, Philippines, Burkina Faso and Peru. In 2013, the Foundation organized the first edition of the RAJA Foundation Women’s Awards, to highlight and reward outstanding projects in favour of women. In 2014, €80,000 were granted to 5 NGOs so that they can continue and develop their action. More recently the Foundation partnered with the RAJA Groupto launch a “Women and the Environment” campaign across Europe to help tackle climate change and equality worldwide. This campaign involved all 14 European RAJA Group’ subsidiaries, such as RAJAPACK UK, raising money whenever sustainable packaging was purchased by customers. After a campaign lasting for 6 months, over £320,000 was raised with over £26,000 being raised from Rajapack UK alone, a staggering total for good causes all over the world. Looking at the wider issue of gender equality in UK businesses, progress still needs to be made. Women continue to earn less than men in the same roles, an average of 24% for full time annual salaries (according to a survey published in The Guardian), which impacts families, children and single parents heavily. The UK government is working to address this by forcing large companies to publish their gender pay gap online by 2018, and by launching schemes such as Think, Act, Report which have been adopted by hundreds of UK businesses. This scheme offers frameworks for companies to follow, encouraging them to review their own culture, bring about change, and improve wage transparency. 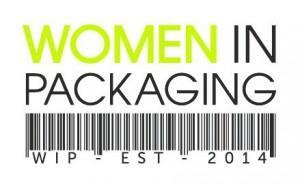 Across the packaging industry, the launch of organisations such as Women in Packaging is helping to raise awareness of equality issues and close the gender gap. By supporting women in the industry with a ‘Connect, Celebrate and Keep’ strategy, which provides collaborative networking and learning opportunities, Women in Packaging recognises and celebrates the important contribution that women make to the industry. We contacted Jo Stephenson, managing director of PHD Marketing and Strategy and co-founder of Women in Packaging, to give us her views on what has changed in the industry for women in recent years, and what positive steps can still be taken moving forward. Attracting and retaining female talent that may otherwise have disregarded the sector as a viable career route is key to driving change in the packaging sector as a whole. WIP facilitates this by connecting employees in roles across all material substrates, process and packaging applications and across the supply chain from designer to retailer. Giving women access to training and education that allows them to engage with the management, technical and leadership positions they would not historically have been appointed to is an empowering step forward in diversifying a traditionally male-dominated industry. People within the RAJA Group work hard to ensure that the values it was founded on can be felt right across the entire group. In RAJA France for example, 51% of women are employed at management level, an exceptionally high percentage in today’s economic world. Women occupy many key positions across the group too, with Danièle leading the whole Group, as well as Nathalie Chapusot, as Managing Director Marketing-Sales & E-commerce, Lorenza Zanardi as General Manager for Rajapack Italy and Gabriela Fabianova, as General Manager of Rajapack in the Czech Republic. Diversity and professional equality benefit everyone in their workplace. Businesses with gender equality generally perform better and are able to recruit the best candidates as job seekers are more attracted to equal, fair workplaces. 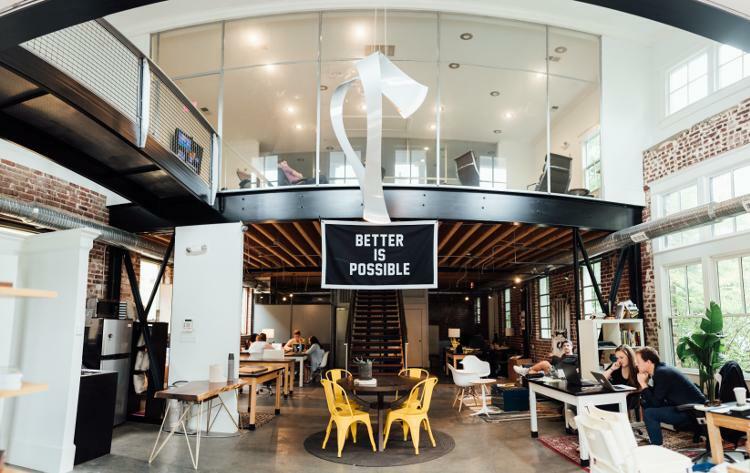 It can reduce companies’ costs and wastage, lowering staff turnover, increasing employee morale and boosting productivity. We’re proud of our values and continue to campaign for them today and into the future, ensuring all employees are treated fairly, regardless of their gender. This entry was posted in Packaging Industry News and tagged equality, packaging, values on July 26, 2016 by Rajapack UK.